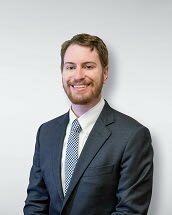 Matthew Swiger is an attorney at Coane and Associates, PLLC. He received a Bachelor’s degree in Economics and Classical Studies from Vanderbilt University, and a Juris Doctorate degree from the University of Houston Law Center. Mr. Swiger is licensed to practice in the state of Texas since 2013, and is admitted to practice before the U.S. District Court for the Southern District of Texas. In his free time he enjoys traveling, reading and spending time with his wife and family.